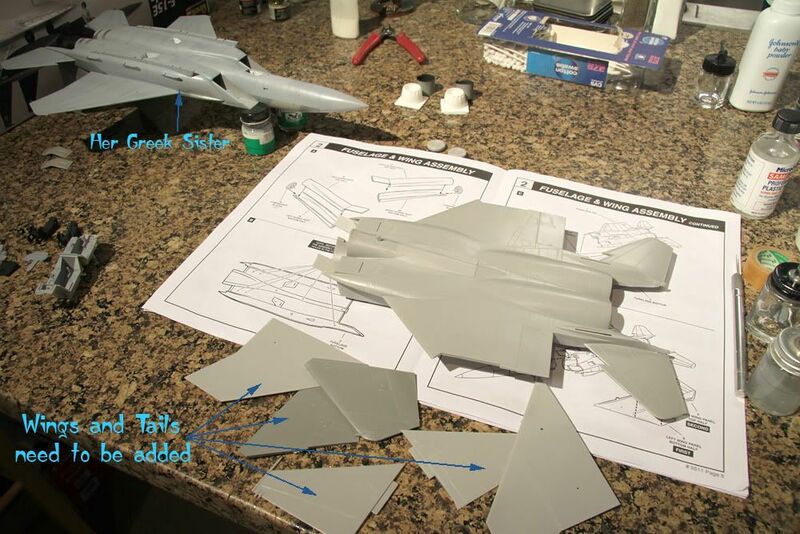 Well since my Hellenic Air Force F-15E is coming together so well and so fast, Im doing something I have not done in years. Work on two models at the same time. normally I would not start another kit until I finish or stoped working on one. It should not be that bad, one is winding down and that one is starting up. Here's what she should look like when she's done, plus some cool tail art. Here's what I have done so far. I shot the base colors for the seats, tub, instrument panels and the rear hood. 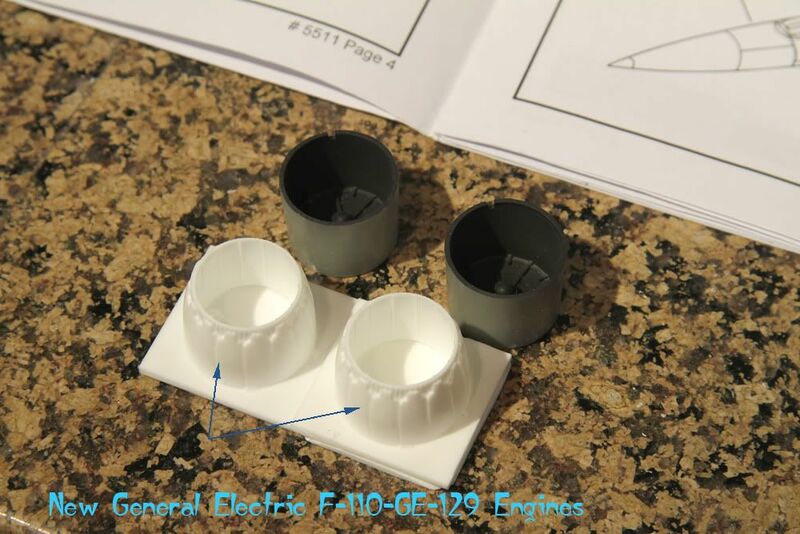 My F-15EJ will be powered by GE's F-110-GE-129. So I looked in my stash and pulled out two resin nozzles. 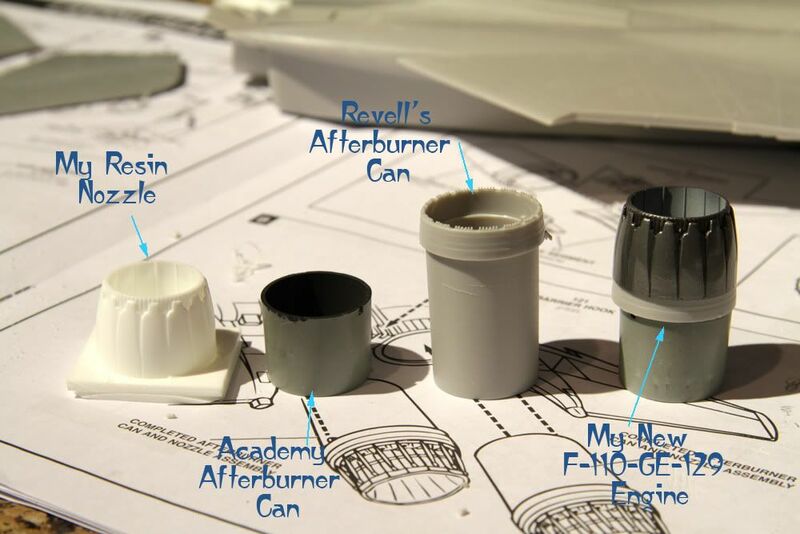 For my F-110-GE-129, I'm going to use the lower part of Academy's F-15E afterburner can, the upper ring of Revell's can and top it off with my resin nozzle. Ta Da! Next up, I'll be working on getting her wings and tails all together. You can see her Greek sister in the background. Should be quite a pretty bird indeed - looking forward to more of the Mudhen Teriyaki! Those engines will give even more power to play with! Any thought regarding ordnance fit yet? Anti-shipping, as the scheme suggests? 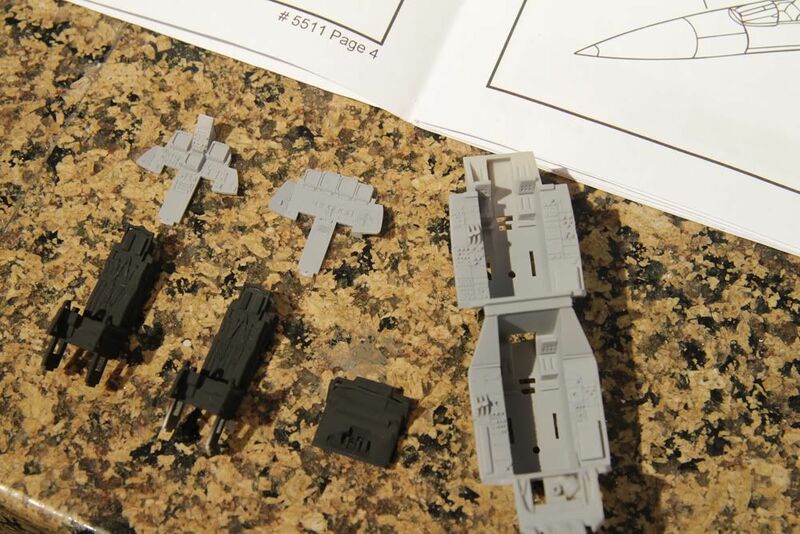 Well as of now, I got Hasegawa JASDF Weapons Set and paint on the way. I'm thinking a mix bag of weapons. I actually think this idea could almost have come real if the F-35 hadn't been on the table as well. 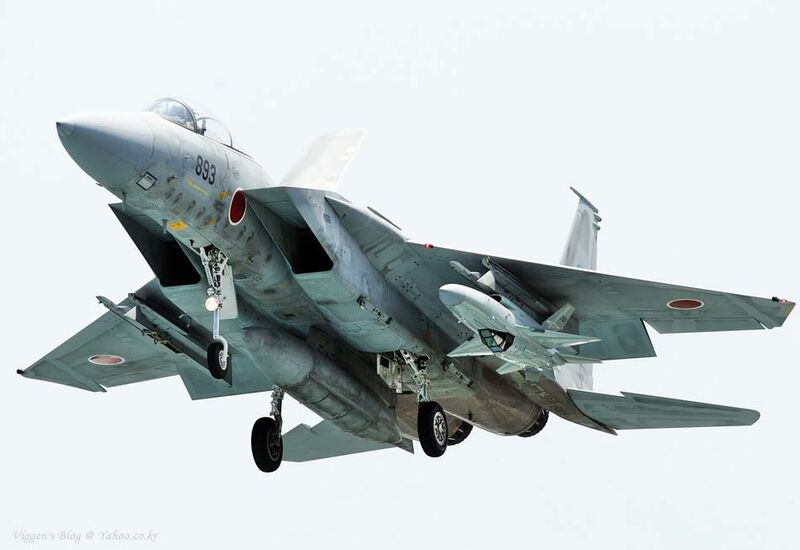 Actually, the F-15E was one of the "contenders" for the original FS-X "competition" that became the F-2. I use quotation marks since the requirements were written so that none of the 4 contenders (the others being F-16, F-18 and Tornado) had a realistic chance of winning without being Japanified. Excellent suggestion! 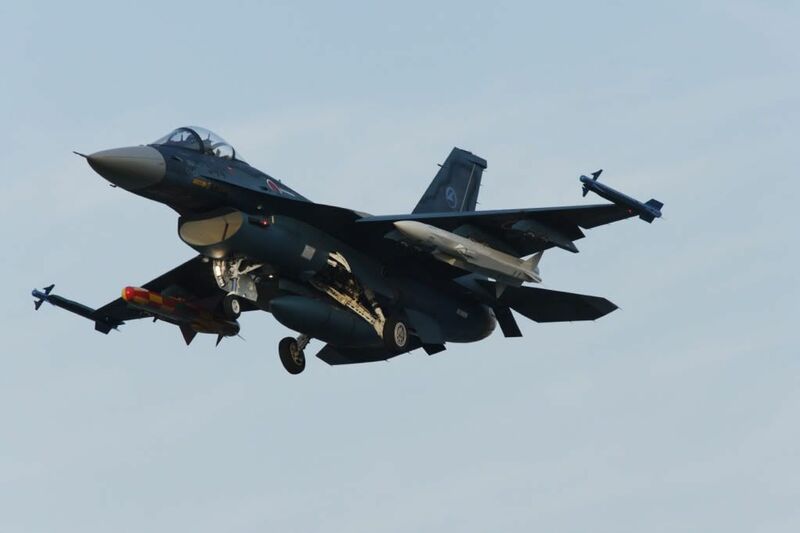 Some Japanese modeller scratch-built these in 1/48. CLICKY! 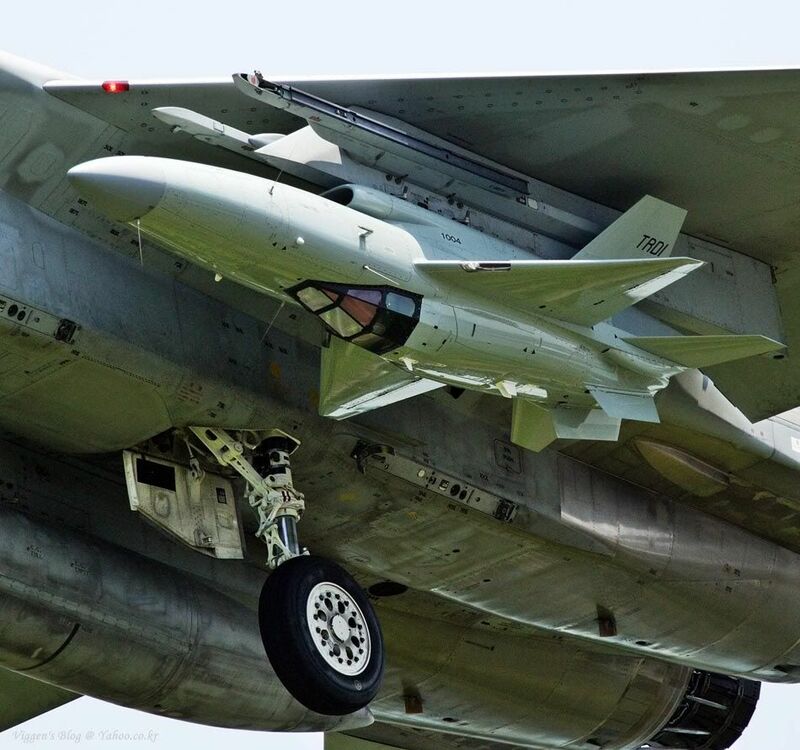 Silent Eagle + XASM-3 = total awesomeness!!! That XASM-3 ASM looks pretty bad A$$, I just may have to make one or something similar. As for Silent Eagle, I don't think so. I'm not going to turn this build into a complicated one. 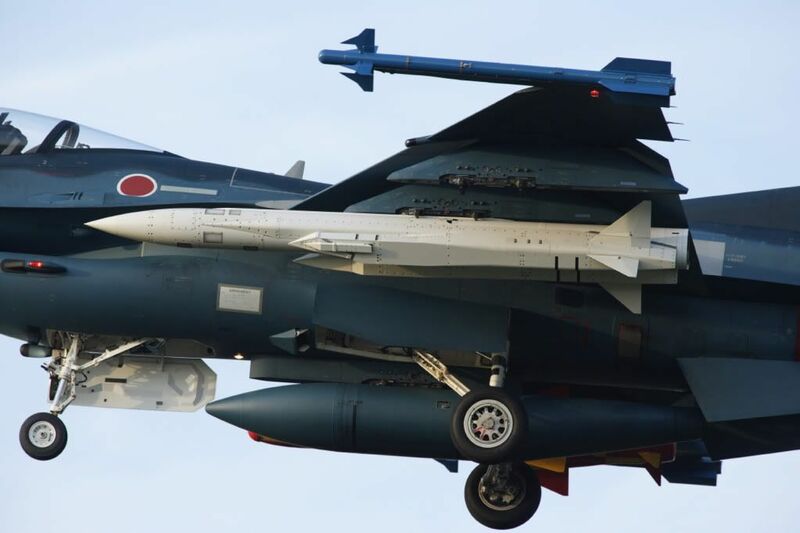 Is there an reason for the bright colours on the missiles or did the Japanese just want to brighten them up and away from boring old white?? I'd assume it's for test purposes Lance. Stands out more on film ? I'd say your guess is pretty spot on, but I think it's be kinda cool to have multi coloured missiles to shoot. It'd make them look like giant fireworks...or am I thinking too much like Radish?? Is it just me seeing that TRDI UAV as a upside down Dan Dare era space fighter?